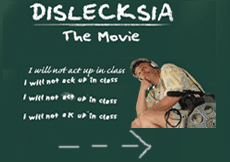 Resources for Everything Dyslexia including assessment, interventions and consultation. Comprehensive evaluation of dyslexia should be conducted by a qualified professional with proper training and experience with dyslexia. Properly normed tests measuring reading and spelling skills. Essentials of Dyslexia Assessment and Intervention provides practical, step-by-step information on accurately identifying, assessing, and using evidence-based interventions with individuals with dyslexia. 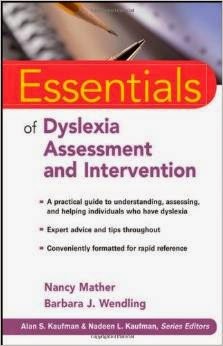 Addressing the components that need to be considered in the assessment of dyslexia—both cognitive and academic—this book includes descriptions of the various tests used in a comprehensive dyslexia assessment along with detailed, evidence-based interventions that professionals and parents can use to help individuals struggling with dyslexia. Like all the volumes in the Essentials of Psychological Assessment series, each concise chapter features numerous callout boxes highlighting key concepts, bulleted points, and extensive illustrative material, as well as test questions that help you gauge and reinforce your grasp of the information covered. Providing an in-depth look at dyslexia, this straightforward book presents information that will prepare school psychologists, neuropsychologists, educational diagnosticians, special education teachers, as well as general education teachers, to recognize, assess, and provide effective treatment programs for dyslexia. The book is also a good resource for parents who are helping a child with dyslexia. Ron Hockman, Ed.S. - School Psychologist/Educational Consultant - All Rights Reserved. Powered by Blogger.